It's here! It's here! 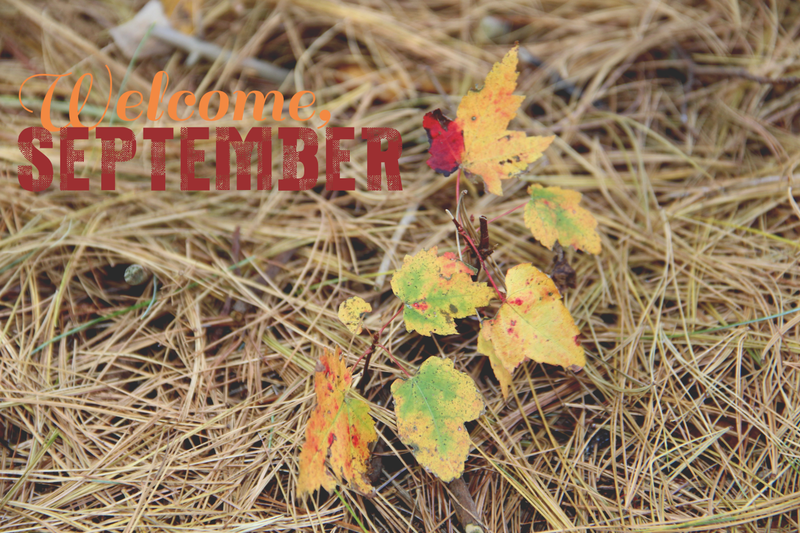 September has arrived and so has the start of my fall! It feels glorious and I'm basking in the autumn glow! My heart couldn't be more joyful! It's time for pumpkin everything, crisp air, riding boots, hot apple cider, color-kissed leaves, sweaters, plaid blankets, flannel, harvests, hayrides....literally I could explode with excitement that fall is upon us! 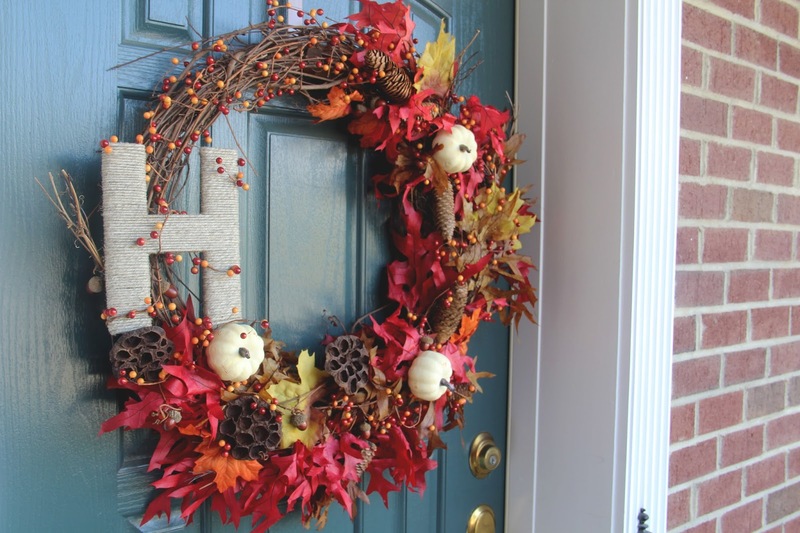 My house has embraced the fall spirit and my seasonal décor is out and placed just so. As it is in the beginning of being married/renting a home together, I am still collecting my decorations. I may very well still be collecting decorations decades from now because there's always something new. And I can't turn down more holiday/seasonal décor ever. For now, last year's autumn touches are looking as beautiful as always and the new decorations are lovely touches, bringing my vision closer to full circle. The Hill household is feeling quite cozy with seasonal accents and pumpkin flavored candles burning. This being my most favorite season, the sprucing only deserves to be the best. The outside doesn't quite feel done yet, so I will be making some additions to this exterior décor. But, I'm certainly loving what's going on outside my front door right now. 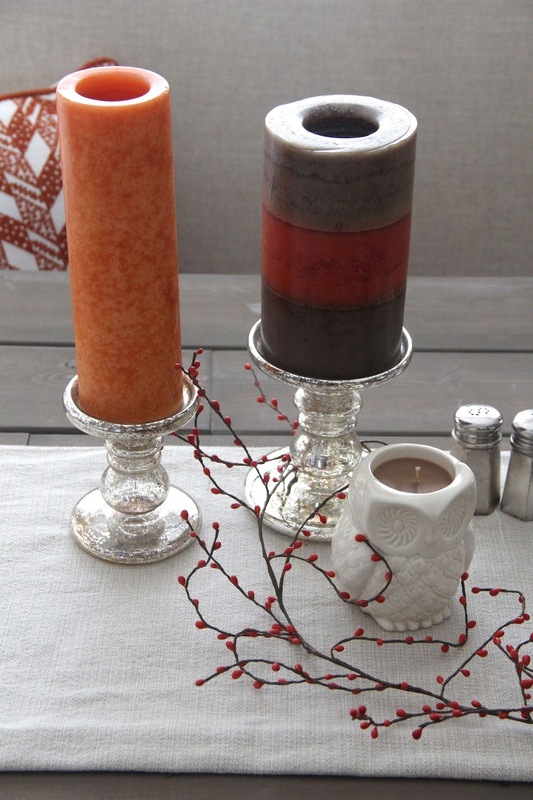 If I can recommend anything when it comes to decorating....make some of your own decorations. You get the exact look you are going for and it's original (i.e. 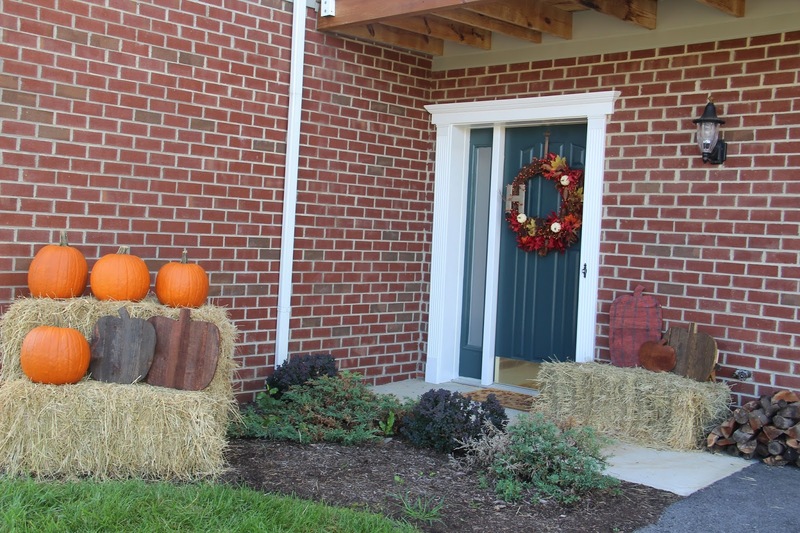 the wreath and reclaimed wood pumpkins). No one else has the same, and I do love being unique!